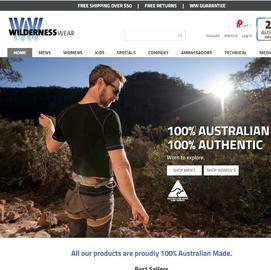 Wilderness Wear is a proudly Australian made and owned outdoor wear producer. We produce the highest quality garments from the finest materials. Click a Coupon or click Start Shopping to earn 6% Cash Back at Wilderness Wear.